When the natural, rugged beauty of the Big Island’s landscape is combined with the clean lines of contemporary design, the result can be a masterpiece of simplicity, tasteful contrast, and serenity. Designed by talented architect Shay Zak of Zak Architecture, this newly constructed front row home in Kohanaiki is another fantastic exhibition of cutting-edge design. The precise, bold angles clearly visible in the pool are echoed throughout the rest of the home and softened by abundant natural light and materials such as handmade African mahogany cabinetry, Ironwood flooring, and vaulted cedar ceilings. Fully furnished by Owensby Design Group, this incredible home consists of 6,459 square feet of interior living space with 5 bedrooms and 5.5 baths. It is located within walking distance of the well-known surfing spot known as Pine Trees. Kohanaiki is a private residential club community along the Kona Coast on the Big Island of Hawaii. 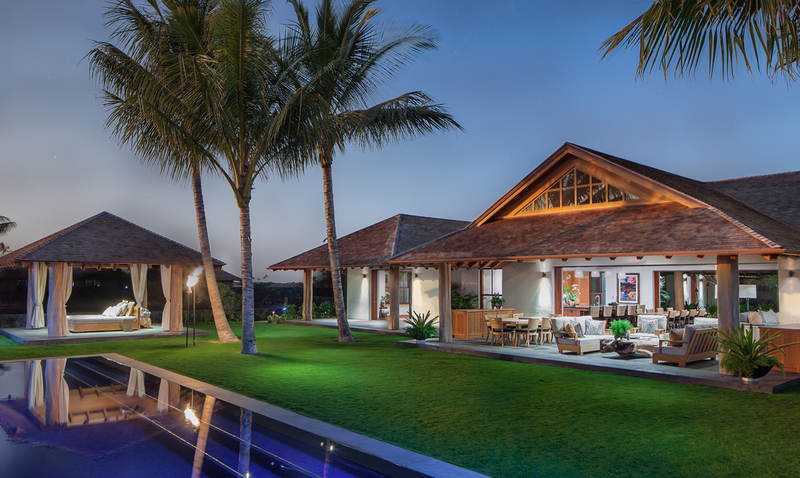 Located with ocean views in Kukio, this home’s clean lines and open layout set it apart as an outstanding example of contemporary architecture. This design gives a graceful nod to the classic island style living without becoming cliché. Despite its generous 5,902 square feet with 5 bedrooms and 5.5 baths, the home is designed such that each space still feels intimate while flowing seamlessly into the next. 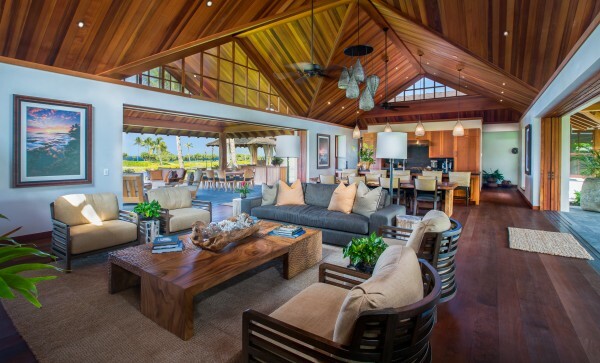 This residence is located within walking distance to Uluweuweu Bay and the Kukio Beach Club. Kukio is a private residential golf and beach club community located along the Kona Coast on the Big Island of Hawaii.